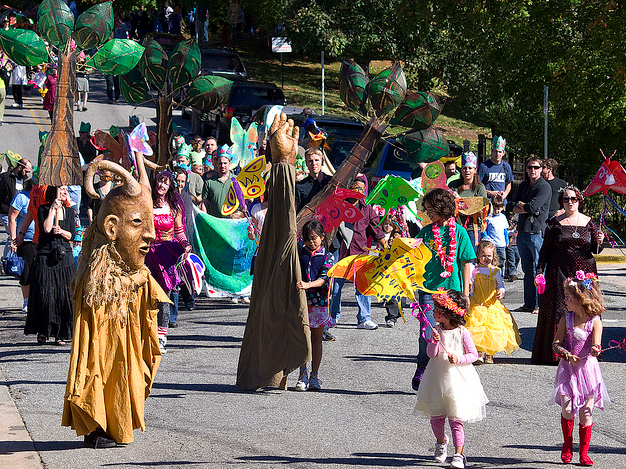 The magical Handmade Parade will roll on this fall, and Pinewoods is thrilled to host workshops and creature creation in the months leading up to it. This year's theme is Creatures and Characters of the ENO. Characters could come form history of the area or could be mythical characters where ever your imagination leads you! Its not too soon to join in the creative process! To receive priority announcements of new workshops, and special events, Sign up here to receive Handmade Parade News. Folks interested in getting the Handmade Parade newsletter can sign up with our Online Form to receive priority notice of workshops, special events and puppet building get-togethers. Learn more by visiting the Hillsborough Arts Council web site. Learn to make your own creature, or teach others! 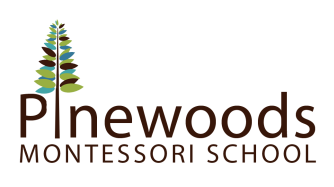 Open workshops will be held at Pinewoods Montessori on Sunday afternoons at 2:30pm and Wednesday evenings at 6:30pm, August thru mid October. These are hands-on workshops for all ages. Participants can bring their projects and materials.This is also an opportunity for those that haven't started a project to join in helping to build and decorate an ongoing project. Drop in to see whats getting created! 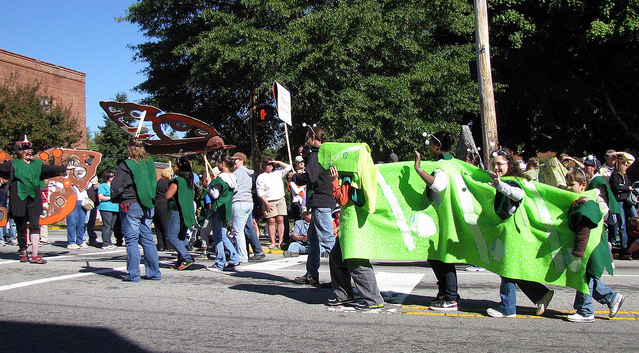 Join the Parade!